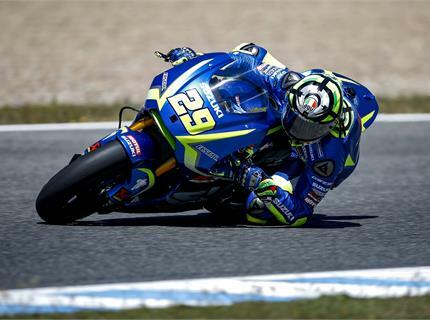 Andrea Iannone for his part will try to use his appreciation for the French track to look for a positive weekend. The crash in Jerez left him without any further points in the Championship, but the progress made in the two days of testing last week gave him more confidence for the French GP. The Bugatti circuit is also the track where the GSX-RR got its first podium in MotoGP last year, which give the team more hope because of its adaptability to the tight and technical layout. The Le Mans circuit is a tight track dominated by first gear corners that place the emphasis on late braking and hard acceleration, whilst rear end traction is also a key area. It is the typical circuit of a ‘stop&go’ style. The first part of the circuit is used by cars in the famous Le Mans 24 hour race, and is one of the oldest European tracks still holding racing events. Last year’s third place in the GP there resulted in the first podium for Suzuki since their comeback. The track is 4.2 km long with an average width of 16 metres and with a 674 metre-long straight.